Have used books to sell, and want to get top dollar for them? Just plug their ISBNs into bookscouter.com, and it will show you how much 50+ online book buyers are willing to pay for them. They even have a free mobile app that you can download. That's handy if you want to check thrift stores, yard sales and estate sales for books that you can resell at a profit. Just scan the ISBN number to see what a particular book is currently selling for, and if it's more than what you can buy it for, snap it up and resell it. 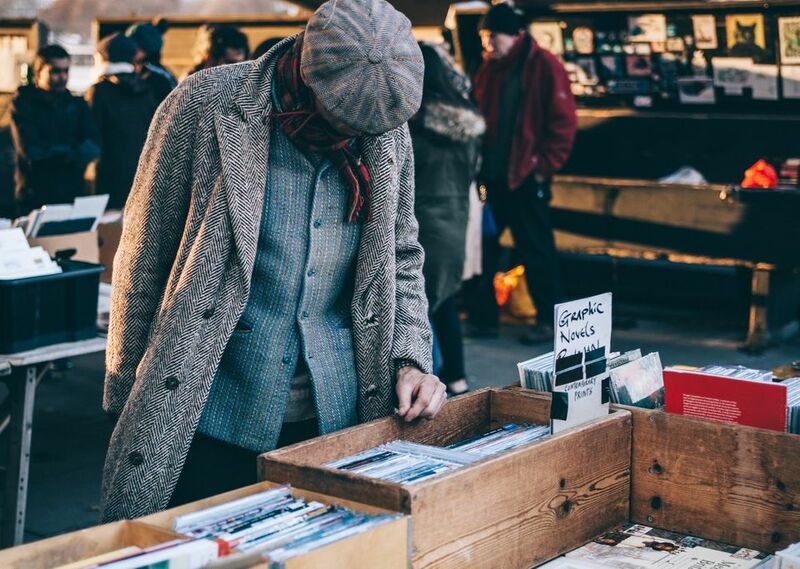 Usually reselling is a bit of a gamble, but it doesn't have to be with books. If you use this app, you'll know exactly how much you're going to make before you put up any money. To maximize your profits, use their price history tool to see how much a particular book has sold for in the past. It may help you to identify a particular time of the year when your book will sell for more. Note: While Bookscouter has a paid version, with additional features, there's a free version that anyone can use. If you're okay with receiving gift cards instead of cash for your books, Amazon has an excellent book buyback program. They advertise that they pay up to 80% of the value of a book, and that could prove to be significantly more than what book re-sellers are currently paying. With all the things that Amazon sells, a gift card is almost as good as cash. It won't put gas in your car or pay your bills, but it'll buy just about anything else you need. If you don't want to fuss with packing and mailing your books, take them to a local used book store; put them in a kids' consignment sale; or try selling them through Facebook Marketplace. As long as your books are recent and desirable, they should still earn you enough to be worth your time. Have a yard sale to get rid of the books that you weren't able to sell through other channels; donate them to a thrift store; or tuck them in a Little Free Library, so other people in your community can enjoy them. It sure beats having them take up space in your house. Be honest about the condition of the book. If there are damaged corners or missing pages, say so. If someone has written in or highlighted huge portions of the book, make that known. If the book has remainder marks (an indication they've been returned to the publisher), mention that, too. Fudging on the condition won't get you more money. When the buyer receives your book and finds it lacking, they'll adjust their offer down, and may even reject your book completely. Package your books carefully. If a book was in excellent condition when you shipped it, but it arrived in fair condition, you're going to be paid the fair book rate. You''re responsible for getting the book there in one piece, so take the time to wrap them well. Don't pay to ship your books. Book buyers should offer to pick up the tab for the shipping costs. Have a lot of magazines to clear out? Sell them in your next yard sale, or consider donating them to a nursing home or art teacher. If you have copies of a magazine that is now defunct, you may be able to sell them on eBay for a small profit. Otherwise, just recycle them, and enjoy the extra space in your house. Trying to Clean Out and Earn Some Extra Cash?